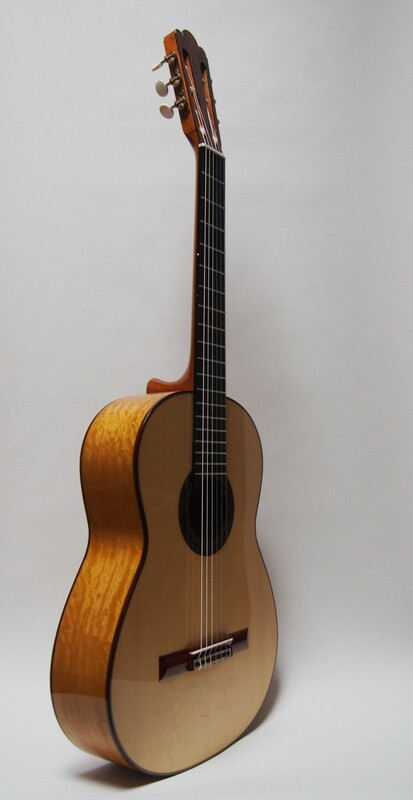 Classical guitars are handbuilt according to the spanish tradition, following the example of Antonio de Torres , Enrique Garcia and Manuel Ramirez to name but three. 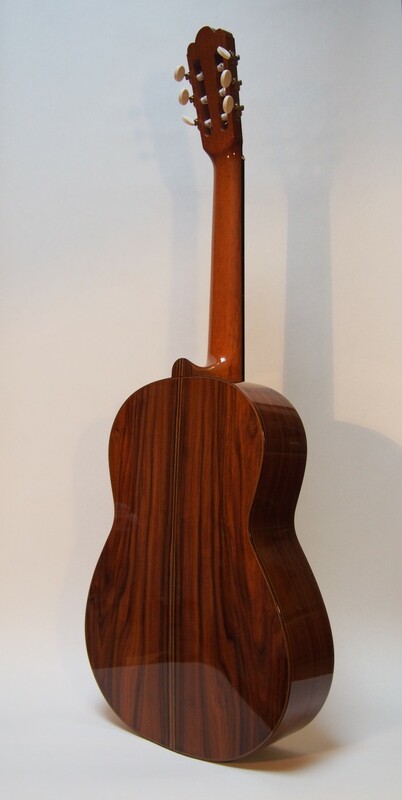 For historical romantic guitars I base my work on that of Rene laCote and others. 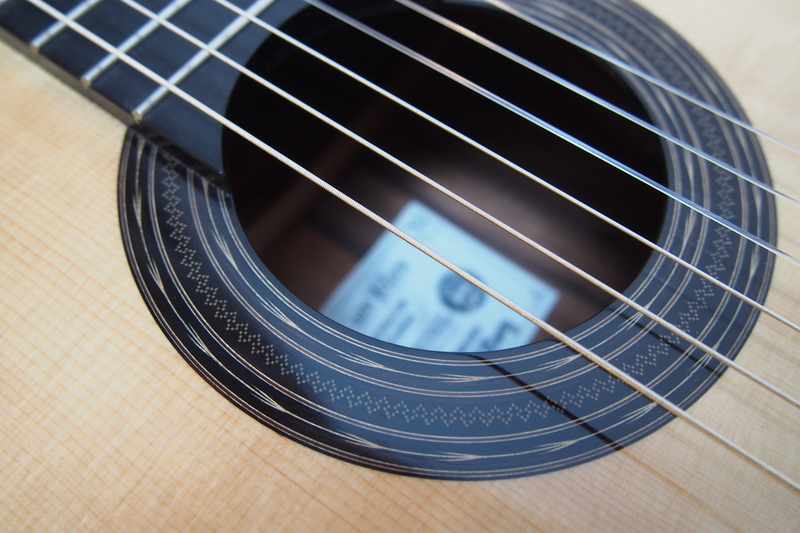 These guitars are built mainly using hand tools and original material. 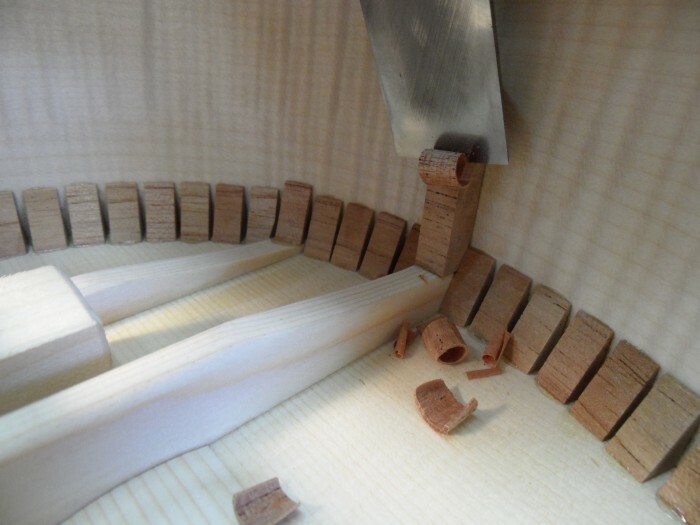 For the Lacote models, the tuners are manufactured in my own workshop. 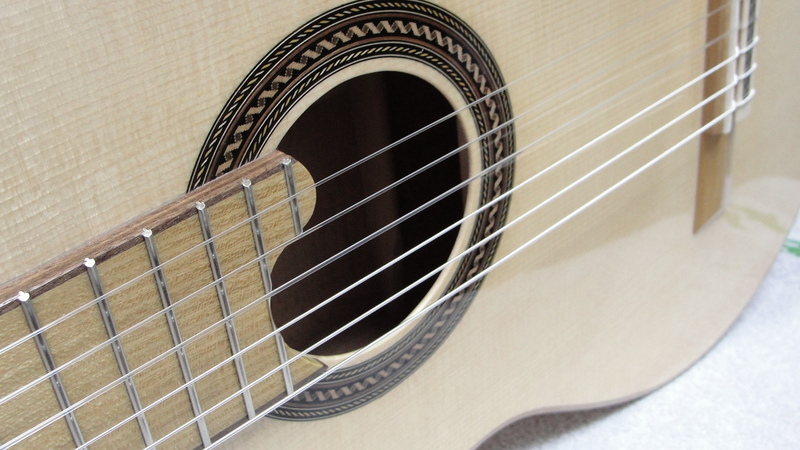 All guitars are finished in french polish. Prices on request, feel free to inquire.